In the 1800’s Abraham Lincoln was on a job hunt. Lincoln wanted to enter the national political scene. There was only one problem… he was a nobody from the Midwest. Lincoln needed a strategy to make himself known by the mass populations in the East. The first part of his strategy involved meeting people face to face, but he also harnessed a new technology at the time…. the photograph. Lincoln took every opportunity to have himself photographed. He wanted to be seen. He wanted to have a face to go along with the name. Given our current media-infused culture you need to learn how to get your face in front of people online. Employers will expect to do a Google search for your name and get back image and video results. And no… your wild office party photos are not what they are searching for. People relate to faces. If you look over the magazine rack at the supermarket, you’ll notice that headlines and head shots make up 95 percent of the covers. It is deeply human to respond to someone smiling at us or making eye contact with us. We all know the phrase “a picture is worth a thousand words.” If that’s true then videos are worth 1000 pictures. Plus video allows you to communicate non-verbally. Researchers have discovered that non-verbal communication is more powerful than anything you can say. One study at UCLA indicated that up to 93 percent of communication effectiveness is determined by nonverbal cues. Video is the perfect medium for whole-body communication. Video can record voice inflections, stance, smiles, gestures and other things that come naturally when you talk. You can convey confidence and poise on video without having to say a word. Your ultimate goal should be to have hundreds of photos and dozens of videos of yourself posted to the web. There are two sites where I would recommend you begin posting. For photos, Flickr.com is our site of choice. This is a free photo sharing site that is simple to use and has a lot of traffic. It is very simple to take a set of photos from your digital camera and upload them to Flickr. For video I suggest YouTube.com. It is by far the largest video sharing site on the planet. They have millions of viewers each month. Since Google owns YouTube, they place a high value on video traffic in their search results. Keep in mind that the end goal is to get yourself a better job. The photos and videos you choose will be critical to your success. You don’t always need to be in a business suit, but you should always keep a professional look and attitude. You should have a few professional looking photos of your face, several candid style photos doing an activity and a couple photos with other people. The most powerful thing you can do on video is talk directly to the camera about a subject you know a lot about. You could offer advice or thoughts about specific business problems or customer service solutions in your industry. Each time you make a presentation or speak in front of a group of people be sure to record the talk on video for posting to the web. On video … be helpful. Take a video camera and record yourself giving value to others. Don’t even bother posting videos unless you are helping people. Offer advice, tips, strategies, insight… anything that is adding value to others. You will be seen as someone who adds value and potential employers will take notice. Once you have the video recorded – post to YouTube. Begin doing this once per week. Get your photograph taken and posted online. It is also important to put yourself in photographs with other people. Don’t just post head shots of yourself, place yourself with other people in your industry or market. If you attend conferences and trade shows, be sure to meet some high profile people and get photographs with them. Get some tools. I always have my iPhone with me so I use it for simple photographs. I currently use a Kodak Zi6 camera for video. It shoots HD video and works very well for quick pick-up shots. Flip cameras are also good to use. If you use a newer computer, you might have a web cam built into the front. Set up a camera and record a 1 minute video introduction. Be sure to think about ways you help people. Create and account with YouTube and post your video. By going through the three steps above you are learning the grammar and process of posting video to the web. Posting photos is even easier. I would suggest you also sign up for a Flickr account and begin posting photos as well. Your career is now in your hands. You can make or break your own success by how you use or don’t use free online tools to get the edge on your competition. 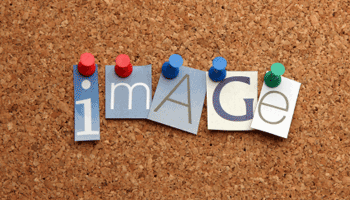 Image is important in our culture. There is no reason why you can’t get this part of your career handled. So start now and go take action. 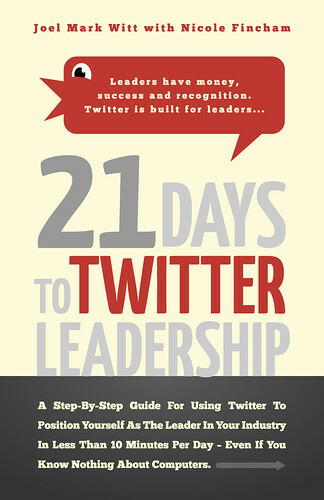 Joel Mark Witt is the Publisher of Folk Media and author of 21 Days To Twitter Leadership. He is a producer, author, and speaker who consults with businesses and nonprofits on how to use social media in marketing and communications. Get more from Joel on Twitter.